It just keeps getting better - the A40 Coupe. 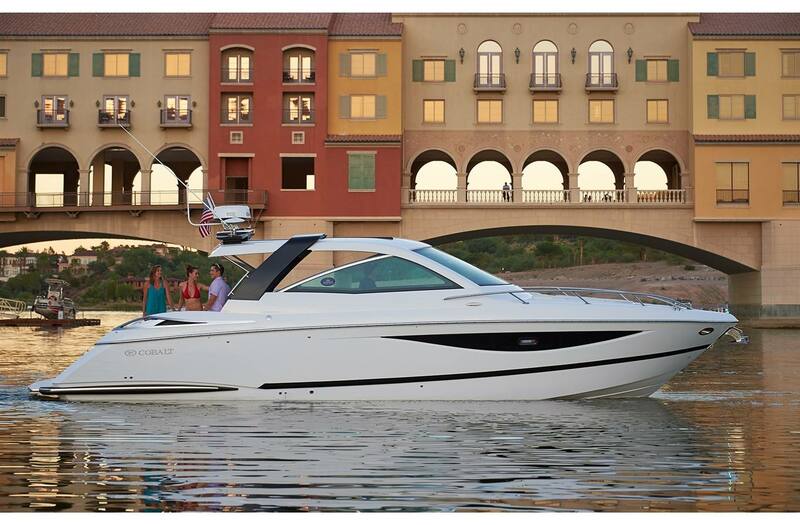 The A40 Coupe, the grand performance day boat that features unmatched elegance, luxury and class. The Coupe profile sweeps and flows with a sleek windshield and integrated top design. 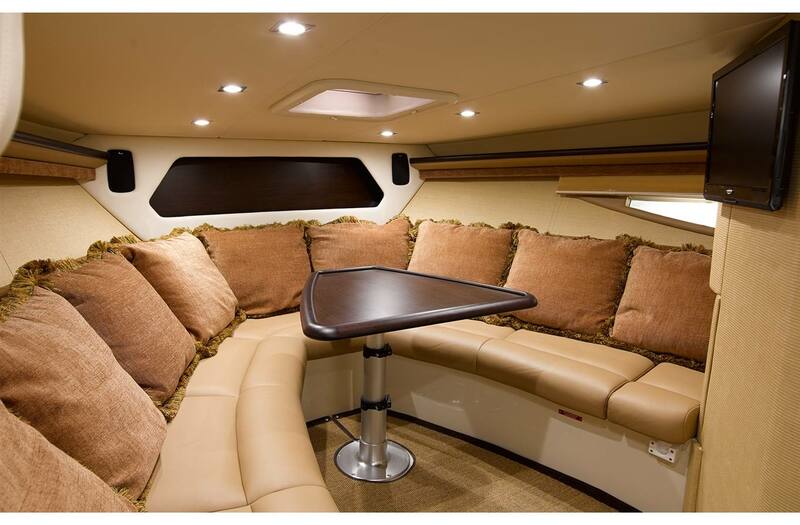 The 12' beam provides ample roominess for the entire crew and their gear. Bring it on board and you will find the perfect nesting place for each and every item necessary for big-day boating. Below decks the richly appointed cabin stands ready with full live-aboard systems. The Coupe features impeccable exterior lines accenting the fiberglass coupe top and navigation equipment shelf, a convenient sliding sunroof, and an available retractable sure shade integrated seamlessly into the design. 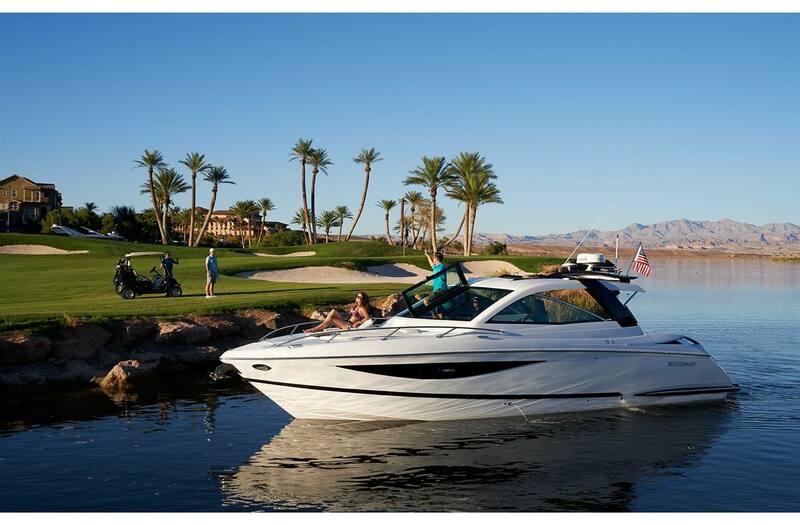 The A40 Coupe provides Cobalt customers the freedom of choice when it comes to the spacious cockpit style of day boating they prefer, the comfortable convertibility of the coupe, and luxury of the get-away cabin. The beauty is, the choice is always yours. Length Overall w/ Swim Platform: 39 ft. 6 in. Interior Cockpit Width: 10 ft. 3 in. Fuel Capacity - Gasoline: 225 gal. Fuel Capacity - Diesel: 248 gal. Draft Drive Up: 33 in. Bridge Clearance: 13 ft.9 in. Draft Drive Down: 48 in. Drive Up: 33 in. ; Drive Down: 48 in.